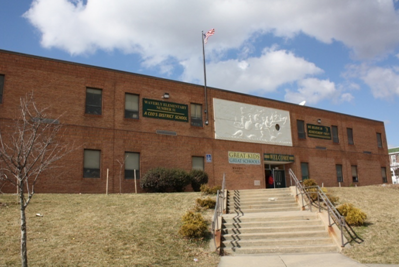 In July, the Greater Homewood Community Corporation (GHCC) received a $74,000 grant from the Family League of Baltimore City that is being used for this year’s batch of Waverly Elementary/Middle School students. Now that the school year is underway, recipients say that the new funding is having a direct, significant and immediate impact on what it’s like for students to attend the school. “The grant provides for Andrew’s salary and helps the school and GHCC provide family engagement events throughout the year,” said Paul. According to Stiller, the stipend he receives for parent and community activities allows him to offer things like health workshops that teach parents how to protect their children against lead poisoning. For students, they are planning new after-school activities, such as a cooking class that teaches healthy eating and how to make homemade applesauce, and a dance class instructing students in ballet. • A partnership with the Johns Hopkins University Center for Social Concern, which has allowed the school to offer a variety of extra-curricular programs including orchestra, dance, cooking, soccer, and health education. • A student-mediated Truancy Court designed to help alleviate tardiness and absenteeism. • A partnership with the Y at Stadium Place, which provides access to Y facilities including the rock climbing wall, pool and gym, “ to kids whose families might not be able to afford full passes,” explains Stiller. One fitness class is teaching about gym safety and workout machines. • The school also has a partnership with the Cathedral of the Incarnation, which hosts programs for the school such as a teacher appreciation event at the beginning of the year. “This is vital for engaging the teachers and showing community and administrative support,” said Stiller. • A new creative writing class through Writers in Baltimore, an independent non-profit that teaches creative writing through trained tutors. Students are currently learning about poetry and how to write haiku. Stiller said although the grant and his work may seem modest, it has the potential to make a big impact. “Because we are a community school, improvements with our children pay dividends in the future, because the majority of our students are from the neighborhood,” Stiller added.